Today I found out thermostat controls in large buildings, such as many office buildings, don’t usually do anything. These placebo controls for large HVAC systems do nothing but make you think you are adjusting the temperature. In some cases, the system even includes white noise generators to make you think that the temperature controls are working, when in fact the heating and cooling systems are controlled elsewhere. According to HVAC specialist Richard Dawson, about 90% of non-secured office thermostats are placebo controls. These dummy thermostat controls have been used as far back as the 1960s as a response to rising heating costs, which resulted in landlords specifying very specific allowable air temperatures for their tenants. Allowing office workers to individually adjust temperatures then became inefficacious. In another example, Vaughn Langless once installed air and heating systems in an office building, only to be inundated with complaints about the system not working correctly. Even though we were sure our system was working as it should and maintaining space temps to within one degree to two degrees, we could never completely satisfy the occupants of the space. We mounted a dummy [thermostat] adjacent to the controlling [thermostat] and gave the floor manager the key to the stat—now the occupants could ‘control’ their space as they desired with the permission of their manager. 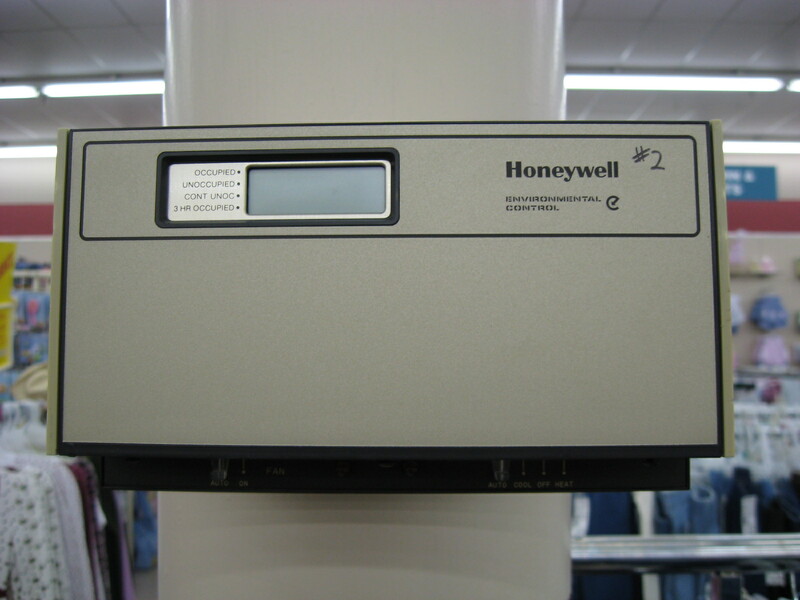 Modern HVAC systems use thermistors (temperature sensors) strategically located that are then used by a central computer controller that regulates temperature at each location within a narrow allowable range. Herein lies the only real way for most office workers to adjust temperature in their workspace, by changing the temperature around the thermistors, wherever they happen to be located in the office (often in the air ducts themselves, though sometimes attached to a wall in a protective case). It should be noted though that manipulating one thermistor by perhaps placing a lamp with an incandescent bulb right next to it to heat it or placing an ice pack over it won’t always work. 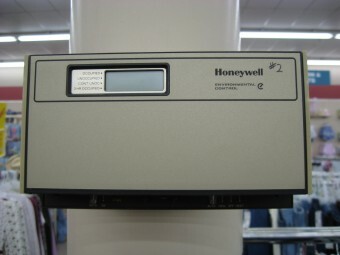 The computer system that controls the temperature will often use readings from several thermistors in a section of the building to properly regulate temperature. So if all the other sensors are reading at 70 degrees F and the one you’re placing a heat source near is reading 80 degrees F, it will very likely ignore the 80 degree temperature as a faulty reading, possibly from a defective thermistor. Some dummy thermostats aren’t wholly useless in terms of adjusting them. In some cases, they are factored into the central controlling system as an extra input source. Specifically, these types of setups make it so if you were to adjust the set temperature up to 80 degrees F or so, when the actual ambient temperature is 70, it may decide to adjust the temperature up 1 or 2 degrees to accommodate the extreme call for extra heat in your location, but not up to 80 degrees. Likewise, these types of systems are set to allow the quasi-dummy controller to adjust the temperature down as much as 1 or 2 degrees, but no more, when a call for extra AC is made. The first electric thermostat was invented by Warren S. Johnson in 1883. Early electric thermostats tended to work by using modified mercury thermometers. In this case, the mercury was used to physically close electric contacts based on the set temperature. Wait, but if there are no complaints about these placebos, doesn’t that mean that… nobody complains about these placebos? As a former HVAC tech, I can verify this. Most thermostats in large buildings are up in the ceiling.